Riyadh (AFP) – Saudi Arabia on Thursday temporarily released three out of 11 women detained nearly a year ago in a broad crackdown on activists, state media said, as the kingdom faces intense global scrutiny over human rights. 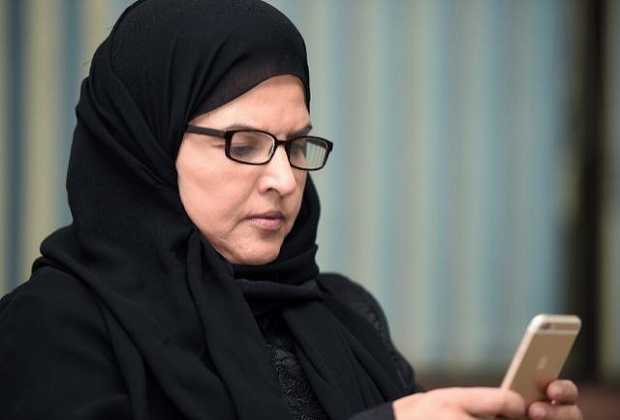 Blogger Eman al-Nafjan, retired lecturer Aziza al-Youssef and academic Rokaya al-Mohareb were freed, one of their relatives told AFP, as the women face trial in Riyadh’s criminal court on charges that include contact with foreign media, diplomats and human rights groups. “The criminal court in Riyadh announces the provisional release of three detainees,” the official Saudi Press Agency said, without naming them. Confirming the names of the freed women, London-based rights group ALQST said other detained women were expected to be freed on Sunday. Most of the women were detained last summer in a wide-ranging crackdown against women campaigners just before the historic lifting of a decades-long ban on female motorists. Their release follows an emotionally charged second court hearing on Wednesday that saw some of the women breaking down while testifying that they faced torture and sexual harassment in detention. They accused interrogators of subjecting them to electric shocks, flogging them and groping them in detention, two people with access to the trial told AFP. The government, facing sharp global criticism of its human rights record, denies the women were tortured or harassed. The three released women will have to appear in court next Wednesday when the trial before a three-judge panel resumes. “This is a long overdue step as these women should never have been jailed in the first place, and their release should certainly not be on a ‘temporary’ basis,” said Lynn Maalouf, Amnesty International’s Middle East research director. The women had long campaigned for the right to drive and an end to the restrictive guardianship system that gives male relatives arbitrary authority over women. Saudi officials have repeatedly accused the women of links to foreign intelligence agencies, while state-backed media branded them traitors and “agents of embassies”. The charge sheets, however, make no mention of contact with foreign spies, say campaigners who have reviewed the documents. Some of the charges fell under a section of the kingdom’s sweeping cyber crime law that carries prison sentences of up to five years. The law has typically been used to silence political dissent, rights campaigners say. “It’s a relief some of the women have been freed,” said Najah al-Otaibi, a senior analyst at the pro-Saudi think-tank Arabia Foundation. The trial has intensified criticism of the kingdom over human rights following global outrage over journalist Jamal Khashoggi’s murder by Saudi agents last October. Western nations, including the United States and the 28 countries of the European Union, appear to have stepped up pressure on the kingdom to release the activists.